Anyone who was near a television watching the college games yesterday saw the incredible performance West Virginia quarterback Will Grier put on against Texas. This turned out to be one of the, if not the most exciting games of the day as the Mountaineers and Longhorns traded touchdowns for much of the afternoon. The play we were curious about was the game winning touchdown that Will Grier threw before going on to score on the two point play that won the game. We just wanted to go back and look at what the actual offensive play was and what Texas dialed up on defense in that situation with 22 seconds left on the clock. As is the case in a lot of situations, there was a great play made by a couple of West Virginia players but there were also some things going on when you went back and took a closer look. 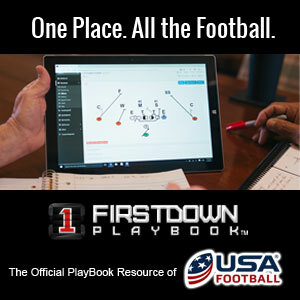 Of course when you are breaking down a college football play you don’t always have the advantage of seeing all 22 players like you do when you use the NFL Game Pass but we think we saw enough to give you a little breakdown in the video below.